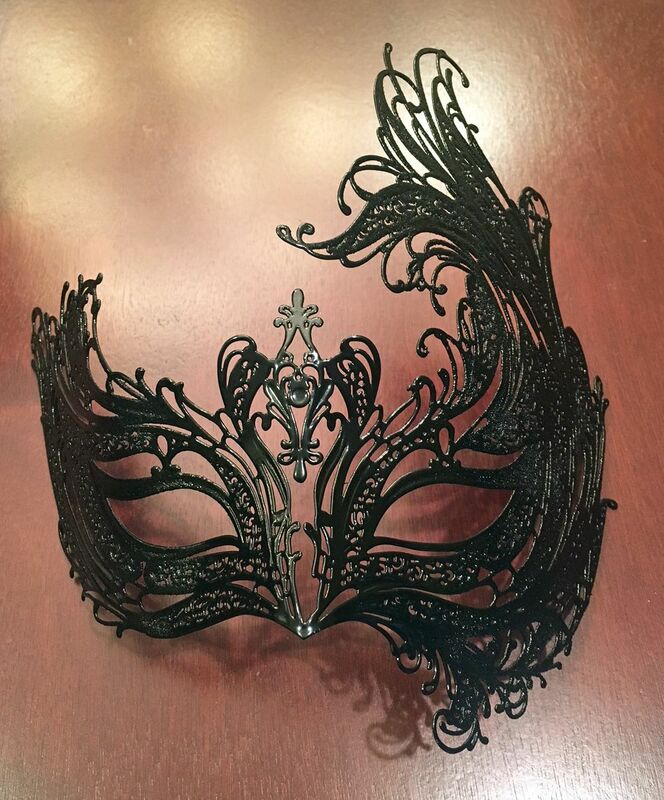 Isabel Venetian is mask of metal and is hand painted. Mask has a slight flex for a comfortable fit. Comes with black ribbon ties.